Blueprint Earth's Board includes scientists, engineers, business people, fundraising experts, data management specialists, and education experts. The Board is tasked with ensuring that Blueprint Earth works steadily toward its mission of enhancing knowledge of the Earth's environments. Jess Peláez serves as President of the Board of Directors. Jess is a scientist, historian, and adventurer. Her specialty is active volcanoes and natural hazards, and she has worked on projects spanning six continents. Jess has had professional relationships with the United States Geological Survey, Woods Hole Oceanographic Institution, California State University, Dassault Systèmes, and other Fortune 500 companies. She is a member of the American Geophysical Union, the Geological Society of America, the International Association of Volcanology and Chemistry of the Earth’s Interior, and the Geophysical Extreme Events Reconnaissance Association. Jess holds degrees from Smith College and California State University, and believes that interdisciplinary communication is key in all fields of study. Regan 'Blythe' Towal serves as Vice President of the Board of Directors. Blythe is an engineer whose research interests lie at the intersection of biology and technology. Her research focuses on defining principles for how the brain processes information, which can then be applied to improve state of the art computing systems. Of particular interest is how organisms adapt to their local environment to improve their ability to process information. Blythe was named in Forbes magazine's 2012 "30 under 30" list for science and healthcare. Blythe holds degrees in Electrical and Biomedical Engineering from the Georgia Institute of Technology (BS) and Northwestern University (MS and PhD) and has worked as a postdoctoral researcher at the California Institute of Technology. She is currently employed as a neuromorphic systems engineer at Qualcomm. Larry Lemoine serves as Treasurer on the Board of Directors. Larry has over thirty years of experience in international business in the entertainment, consumer electronics, and sports industries. He has strong experience in both domestic and international corporate finance, with additional expertise in strategic planning, marketing, and management. He has served as the Controller for the Los Angeles Olympic Committee, the VP of Finance for DIRECTV, the Chief Executive Officer of Wave Entertainment, and the Chief Financial Officer of ATLX. Larry is an outdoor enthusiast who has spent many hours enjoying all that nature has to offer. He holds a degree in Finance from San Diego State University. Michelle Chaplin serves as Secretary on the Board of Directors. Michelle has been heavily involved in marketing, communications and fundraising of all kinds for the past eight years. She currently manages the online fundraising initiatives for PBS. Before that, Michelle spent four years at the nonprofit BRAC USA, where she built their fundraising program and platform from the ground up. She has also served on the board of the Young Professionals for International Cooperation for Southern New York, which is part of the United Nations Association. Michelle has an MBA from the NYU Stern School of Business. Carlos Peláez serves as a Board Member on the Board of Directors. Carlos is a global business executive whose work focuses on strategy and organizational transformation. He has spent fifteen years working with over 50 of the world’s largest corporations on four continents. Carlos has expertise in starting and managing organizations as both a founder and Chief Executive Officer. He speaks five languages and holds Certified Information Security Auditor (CISA) and managing Projects in a Controlled Environment (PRINCE2) certifications. He was awarded the Congressional scholarship Congress-Bundestag, the Peter F. Drucker fellowship, and has held positions with Deloitte & Touche LLP and KPMG. He studied Economics, Accounting, and International Relations at Claremont McKenna College. Daniel Konopka serves as a Board Member on the Board of Directors. 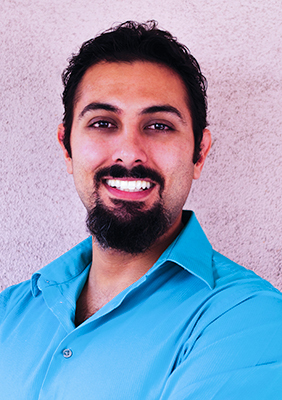 Daniel is a researcher/ entrepreneur with nearly ten years specializing in the development of materials for fuel cells, batteries, and solar energy devices for projects with NASA, the U.S. Dept. of Energy, and several national laboratories and private companies. Collaboration between academia and industry as well as leadership and communication as a vocal scientist are at the core of his experience and professional values. 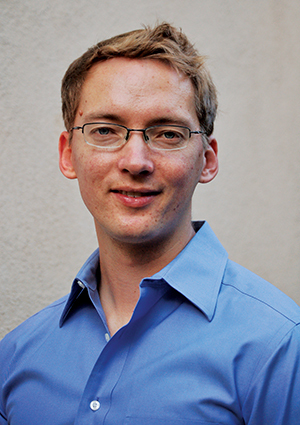 Daniel holds a PhD in Chemical Engineering from the University of New Mexico and has worked as a Postdoctoral Researcher at NASA’s Jet Propulsion Laboratory and the California Institute of Technology. He currently owns and directs a private research and development company located in Denver, Colorado. 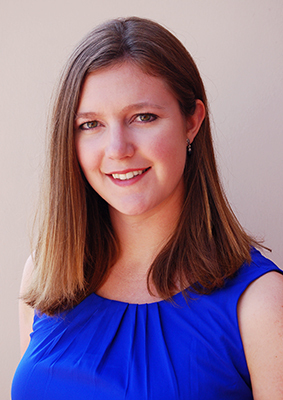 Lauren Harrell serves as a Board Member on the Board of Directors. Lauren is a research fellow and PhD student at the University of California - Los Angeles. Her work employs advanced biostatistical approaches aimed at developing innovative statistical methodology that will facilitate health research involving the poorest and most vulnerable members of our society. Her translational research takes knowledge generated from scientific inquiry and creates human-centered practices and solutions. She is a member of Public Health Honors Society Delta Omega, and has been awarded three fellowships in her time at UCLA. Lauren holds a BA in Biology with a focus in Scientific Modeling from Claremont McKenna College and a Master of Science degree in Biostatistics from UCLA. Laura Konopka serves as a Board Member on the Board of Directors. Laura is an educator with seven years of experience in secondary science education. She earned her Bachelor of Arts in Biology from University of Colorado - Boulder along with her teaching license before spending four years teaching Biology to middle and high school students in Albuquerque Public Schools. She earned her MS in Science Teaching from New Mexico Institute of Mining and Technology with a thesis on the use of Fluorescence Microscopy techniques in the high school classroom. Laura later began an independent tutoring business in California where she has achieved great success helping individual students overcome obstacles to achieve their potential, primarily in mathematics and science courses. Alex Sousa serves as a Board Member on the Board of Directors. He is currently the general counsel of a cloud services company, and was legal counsel at two photovoltaic manufacturing startups. Prior to becoming an intellectual property attorney, Alex managed the development and delivery of both microprocessor and operating system solutions. He is a graduate of the United States Military Academy at West Point, the Ross School of Business at the University of Michigan, and Santa Clara Law School. 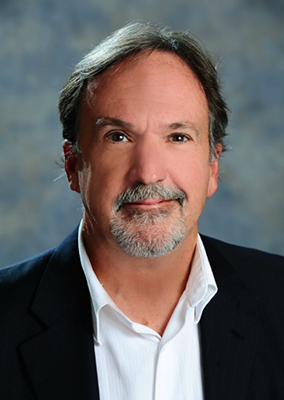 Richard "Rich" Hiskey serves as a Board Member on the Board of Directors. Rich has a sales and marketing background that includes 35+ years of experience in a variety of industries. He has worked with McDonnell Douglas, Fox Sports Net, DIRECTV, and others. An entrepreneur at heart, Rich is now a Partner at an agency that provides brand management, business development, and sponsorship sales services to a diverse array of clientele including athletes, production companies and musicians within the sports/entertainment industry. Richard is a graduate of UCLA and holds an MBA with honors from Loyola Marymount University with a dual concentration in Marketing/Finance.